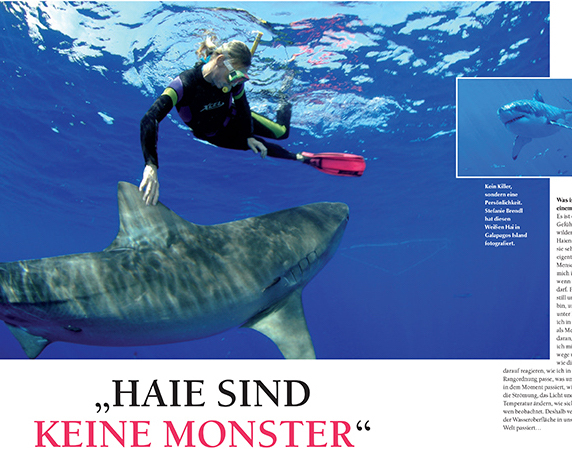 "Active Woman" one of Europe's largest Women's outdoor magazines featured Shark Allies founder, Stefanie Brendl, in their July 2016 issue. Stefanie talked about her relationship with sharks and how misunderstood they are. The article is written in German - the title translates as "Sharks are not Monsters". Changing the perceptions of the public is an important part of Shark Allies' mandate.